No, the devil is not in the details; the devil is in the bad translations. 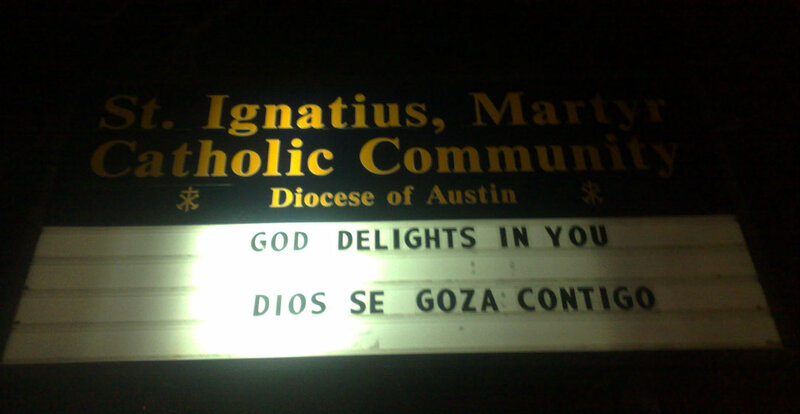 Take St. Ignatius, an Austin-based catholic parish, which — in an effort to lure more Hispanics — decided to translate its holy message into Spanish. I don’t know about you, but I think that’s a very uncomfortable proposition –and one that does not make me want to attend church any time soon. This entry was posted in Awkard homages, Education, Language, Religion, Spanish, Stupid propositions and tagged Church, SpanishFail, Texas, translations. Bookmark the permalink.